The thought of losing cargo along its journey may not be something you ever consider until it happens to you. The probability of sustaining a loss on goods in transit is greater than you think. OTS Astracon LLC can provide your business with comprehensive protection against the threat of loss from most adverse occurrences. Whether importing or exporting, using air freight or ocean freight for your international shipping, marine cargo insurance covers loss and/or damage of cargo while it is in transit between the points of origin and final destination. The carriers, by law, are not responsible for many common causes of loss that occur in transit (for example, acts of God, General Average, etc.). And, even if they are liable, carriers’ liability in the event of a loss is limited – either by contract in the bill of lading or by law. In most cases, you will only recover cents on the dollar from the carrier. 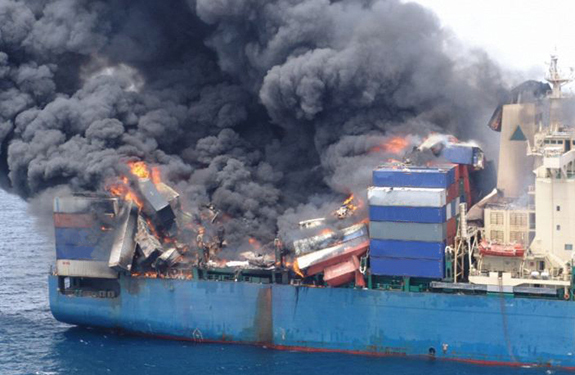 Most carriers are not responsible for losses which are unforeseen and beyond their control. Relying on the buyer’s or seller’s insurance may be a viable option, but you must be satisfied that the insurance has in fact been purchased and that the insuring terms, valuation, and limits provided by each insurer on each shipment are adequate to meet your needs. And, if there is a claim dealing with a foreign insurance company, perhaps in a different language, it can be time consuming and frustrating. If there’s a claims issue, you’re often dealing with courts in a foreign country. Choosing a cargo insurance plan is a small, but important piece of the supply chain as the impact can be dramatic when things go awry. OTS Astracon is happy to simplify the process and advocate on your behalf in the event you need to use your coverage. Unlike other types of insurance, state law does not regulate Cargo insurance, therefore what is and isn’t covered can vary drastically from policy to policy. As such, partnering with an experienced specialist who understands the intricacies of cargo insurance and supply chain is an invaluable advantage to those seeking to protect their financial interests. OTS Astracon, along with our partners at Roanoke Trade, are strategically positioned to guide you through this complex process and to provide you with the proper type of coverage.